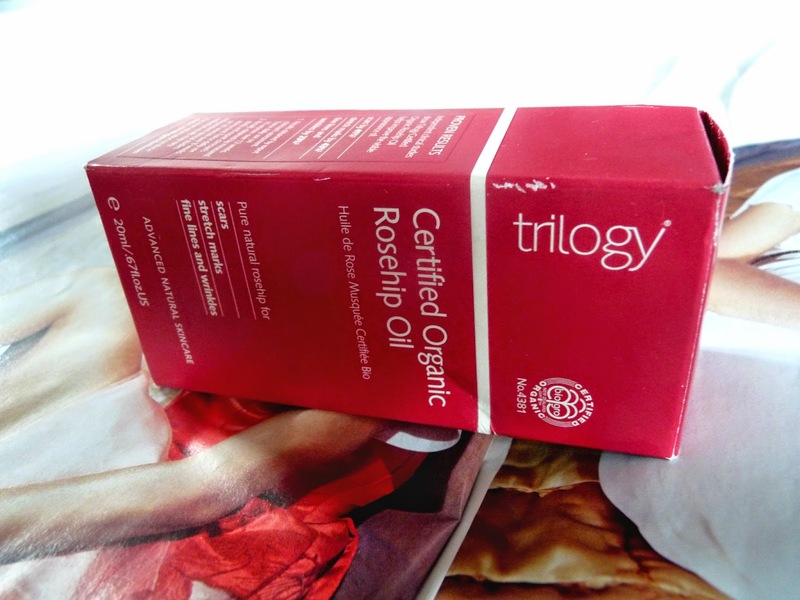 A skincare product that is persistently raved about is rosehip oil. Rosehip oil is used to improve the appearance of scars, stretchmarks and fine lines and in the blogging world I've seen girls praise it endlessly, so naturally my curiosity got the better of me and I decided to try it for myself. In my skincare routine, I use this as the last step after cleansing and toning before putting on my moisturizer. I tend to use this only at night and roughly every other day because as you all know I am cautious about using oil products on my face because I am prone to the odd breakout, but despite the fact I only use it that little I've still noticed a considerable improvement to my skin. I don't have a major amount of wrinkles or fine lines (I would hope not, I'm only bloody 18!) but I do have a few fine lines under my eyes which always become an issue for me because if I rush my under-eye concealer I can sometimes end up emphasizing rather than concealing them. Since I started using Trilogy's rosehip oil literally probably less than a fortnight ago, I've noticed a massive difference to my small fine lines; they've basically disappeared! The fine lines under my eyes are virtually undetectable now, and the skin under my eyes in general appears softer, more even and plumper. Moving away from just my eyes, the rosehip oil has had this lush effect on my entire face. The redness on my cheeks as vanished and my skin's texture is the most gorgeously even it has been in a long time. Apart from my blemishes (they're still there, UGH! ), my skin is the healthiest and loveliest it's been looking for a long time which of course I am a very happy girl about. I've been so impressed with the effect rosehip oil has had on my skin, even though I don't use it every day it's noticeably changed it for the better. Curiosity most definitely did not kill the cat in this instance, because my curiosity to find out what all the hype is about means I've found a product which has got me raving too. 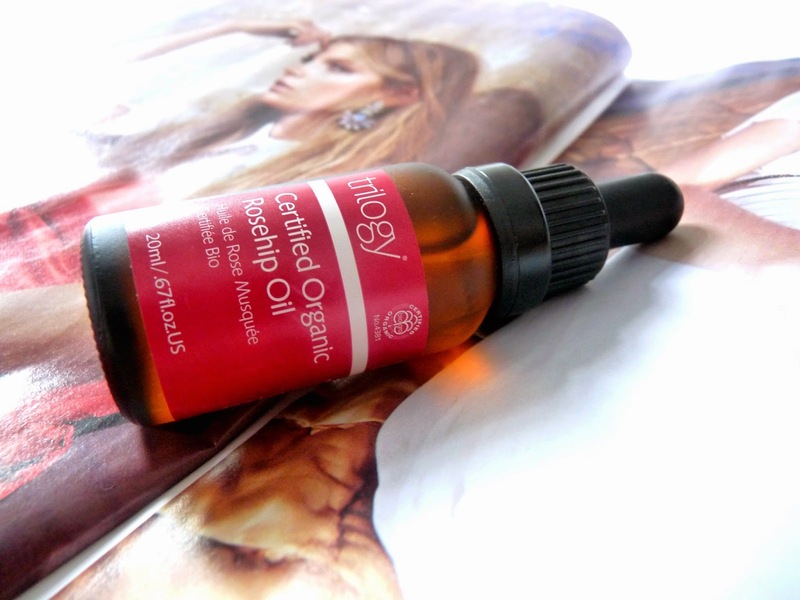 Isn't rosehip oil just amazing?! I used it in my hair, as a lip treatment, on my cuticles and face too! Cannot recommend it enough! I definitely need to get my hands on some rosehip oil, it sounds amazing! How much is it? Wow never heard of this before but I need to try it! I have fine lines on my forehead and they bug me so much! Cant seem to get rid of them and I feel like they will just continue to get worse with age.